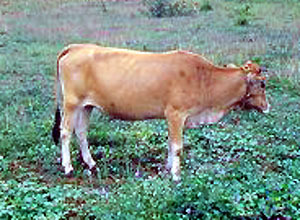 Originating from Chinese and Mexican cattle the Philippine Native is used primarily for milk and as a draft animal. The males of this breed will exhibit a small hump. The mature body weight in the females is 280 - 300 kg.